a series of theatrical offerings. In collaboration with Paul Emery’s Nevada City LIVE!, Sandra Rockman presents a series of theatrical offerings – Theatre Thursdays – October 27, November 3 and November 10 at the Nevada Theatre. On Thursday, November 10, at 7:30, a staged reading of the delightful comedy Circle Mirror Transformation by Annie Baker, will be performed. This play landed Annie Baker on Top Ten lists of The New York Times and The New Yorker for 2010. Sandra Rockman directs this reading onstage at the Nevada Theatre. 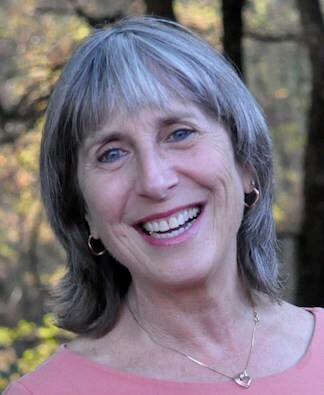 In Shirley, Vermont, a small artsy town, not unlike Nevada City, Marty (played by Trish Adair) an acting teacher, holds an “Adult Creative Drama” workshop. The class takes place in a windowless room at the local community center, actually, the dance studio – a room with one wall a giant mirror. Unfolding like a quirky indie film, the group plays imaginative theatre games. The people who sign up for the class are an unlikely collection of strangers. 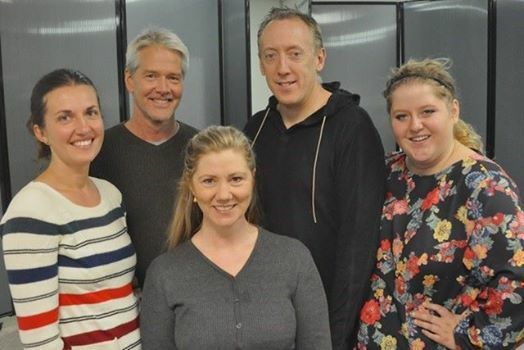 There’s Schultz, a recently divorced carpenter (John Gardiner); Lauren, a reserved high school junior (Rachel Darrow); Theresa, a former actress (Tracie Nickle); and Marty’s husband, James (Tom Nigh). Marty takes the “students” through various acting and dramatic exercises. In one exercise, they act as one another and tell their life stories. As a possible romance begins, each of the group is slowly unmasked and the seemingly silly games generate some real-life drama. Funny, poignant, and with an insightful delving into character and relationship, this play is for anyone who has ever been on stage and/or tried to act. “One of the draws of this play, for me, as a current local acting teacher, coach and director, is the fascinating way Baker takes us below the facades that people show up with in class. Their passion for acting, their innate abilities (or lack thereof), experience levels and ultimate desires always span a wide variety of personalities and can result in a correspondingly wide variety of personal comedies and dramas outside the assigned script,” said Sandra Rockman.